Driving at night poses risks for drivers, especially teenage drivers and the elderly. The National Highway Traffic Safety Administration reports that 49 percent of all car accidents happen at night. A large number of car accidents occurring during nighttime hours can be attributed to an increased number of hazards, including reduced visibility. Teenagers and the elderly are especially vulnerable to nighttime car accidents. Teenage drivers with a graduated driver’s license are allowed to drive between 5:00 a.m. and 11:00 p.m.; there are some exceptions to this rule that includes driving to school, work, church, or if they have a qualified driver older than 21 years sitting with them in the vehicle. Teenagers with limited driving experience and the elderly may have reduced reflexes, making them vulnerable to accidents during the nighttime. Reduced visibility, especially on unlit streets, and unsafe road conditions also makes them prone to car accidents. Distracted driving – Distractions can be numerous – watching an object outside the vehicle, adjusting the radio or the navigation system, chatting with fellow passengers, eating and drinking, and using a cell phone. Driving under the influence – This is one of the most common causes of car accidents. Driving under the influence of alcohol or drugs slows down the body’s reaction time and the driver is unable to take preventive measures to avoid accidents. Driving in the wrong direction – Some drivers may try to take a shortcut and drive on the wrong side of the road. This is extremely dangerous since fast-moving vehicles generally do not suspect any vehicles coming in their lane from the opposite side. Driving without the lights on – The headlights of your car show you the way and are the beacon for others to identify what else is coming on the road. 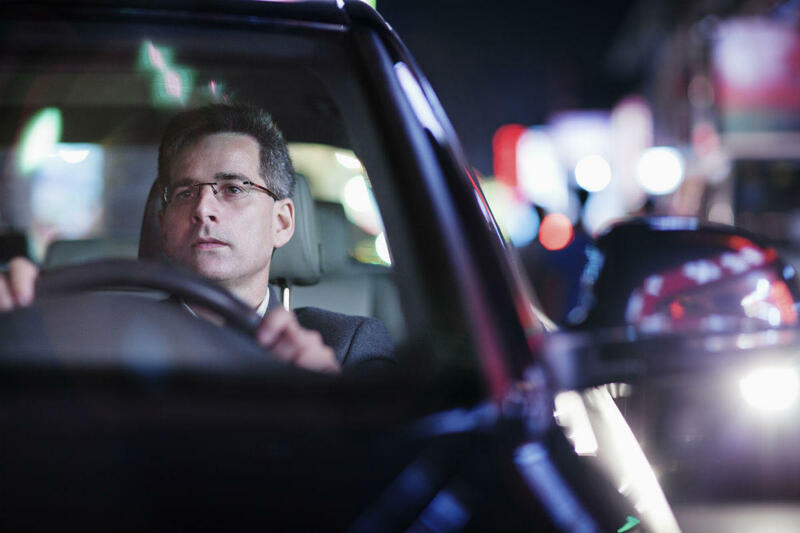 Fatigued driving – While returning from work, some drivers are suffering from sleep deprivation. Texting and driving – Using a cell phone while driving takes the driver’s attention off the road and the driver may fail to take necessary defensive measures. Regular maintenance of your vehicle is essential for avoiding nighttime car accidents. Keep your head and tail lights in working order and keep them on while driving at night. Never drive when you are tired. It is better to be well rested before you get behind the wheel. Have your eye-sight tested periodically. If you have been injured in a car accident caused by a negligent driver, consult a St. Louis car accident attorney from The Hoffmann Law Firm, L.L.C. for legal guidance.